We are all aware of the importance of Google’s search ranking for the success of every business – no matter if it is an online or a physical one. In order to reach Google’s first page every website needs Search Engine Optimization. Proper SEO improvements are getting more and more complex and time-consuming as competition grows and Google guidelines are revised. It is true that perfection needs time but in these financial times no business owner can spend months for SEO improvements without traffic and actual profit. So in order to help those that are unfamiliar with the latest trends we’ve gathered a couple of hints on How to dominate Google in 2019. Follow them wisely and you will save valuable time and increase your traffic faster. Using the right keywords is the number one factor for big amounts of the correct web traffic (meaning paying customers). In the past, we had to use various tools to determine what keywords should be targeted to our business. Luckily, in 2019, we can conduct all the necessary actions via tools like WebCEO. Do not waste time with keywords that are not working in your case. Probably, the most important aspect for picking up the right keywords is to check their rank in all search engines and methods. This is possible via Google’s Universal Search. This universal (or blended) search is crawling not only websites, but paid ads, maps, videos, images or news. This all is working for specific local searches as well and will work perfectly for your case. In today’s business climate, we need to be aware of the competition and sometimes learn from their successes and failures. With WebCEO we can easily check who are our actual Google competitors in your sector and what are the keywords they are using. The quality of backlinks that are targeting your website is vital in today’s SEO world. Review the links that are aiming to your pages and analyze if they are helping or hurting your SEO rank. In addition, with a tool like WebCEO you can check what backlinks are your competitors using and use them in your favor. You can easily see the ones that are good and the ones that you should not use. Throughout analysis is vital in order to adapt to your prospect customers and thus improve your business model – no matter of the sector. With tools as WebCEO you can track all mentions of your brand in social platforms like Facebook, Twitter etc. Adjust your content to a specific social platform or find an influencer or blogger for collaboration. No major online business is successful if their Google presence is not big. 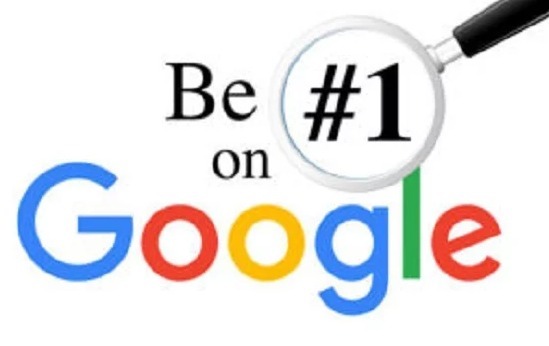 This is why dominating Google in 2019 would certainly bring you success. The above-mentioned five points are very useful and would definitely increase your traffic and eventually sales. These actions can be accomplished via various ways and methods but our main advice is to work smart – not harder! With the WebCEO tool we mentioned and use, all these five major actions could be accomplished as easier and faster as possible. Research your competitors (even spy on them), learn from their mistakes and get the best out of their strategies. That way the time needed for proper SEO enchantments will be much less and will not be a burden any more. Use our expertise and share this modern wisdom for success!